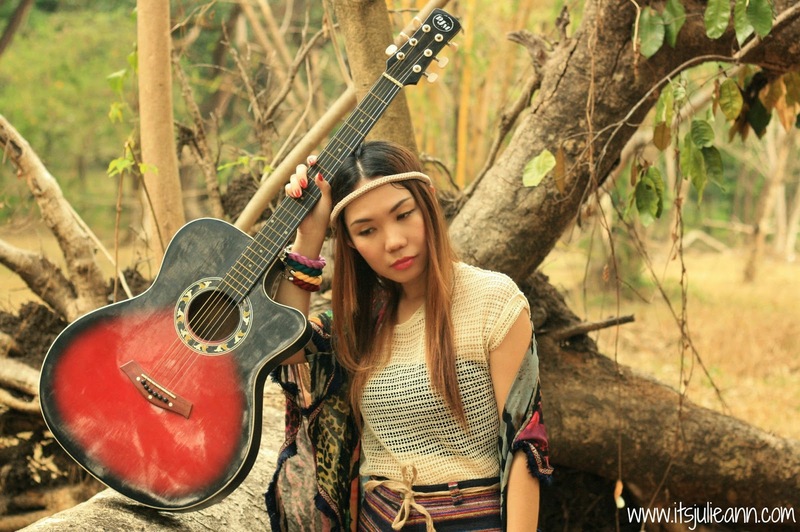 Fallen tree branch, grassy field, orange dusk, city air..it’s actually a nice and perfect place for a bohemian photoshoot. 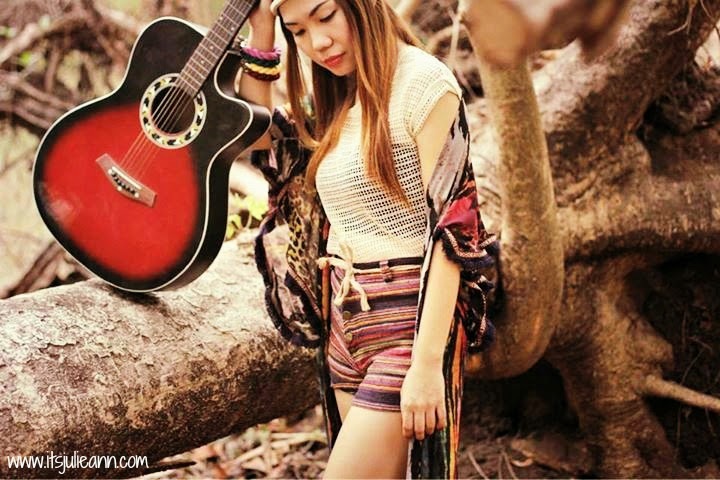 Sitting on this tree branch, playing guitar, wearing boots and Simone's Closet's long cafe and boho crown was a great feeling, it feels like I'm a true blooded gypsy... haha. Im glad that my whole outfit, were blending into the surroundings. Wow I love your style!!!!!!!!!! Wow this pictures are amazing, great post! love the whole editorial. Wow, a great look, lovely shorts! You look so gorgeous in your gypsy outfit! And nice concept too. Magical photos ! Boho style is my fav !